The Vosges has more than 300 kilometres of slopes for all levels, with modern ski lifts and 300 snow cannons serving 10 ski resorts! 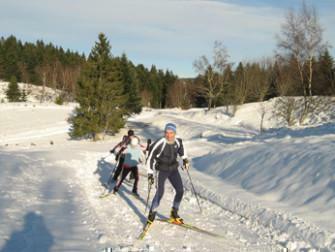 Cross-country enthusiasts or fans of downhill, biathlon or slalom, the choice is yours! 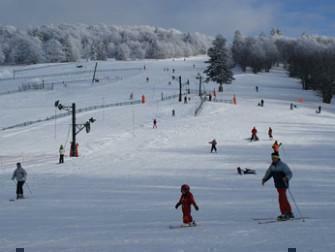 This first-rate family ski resort has the prestigious “Famille Plus Montagne” label. In terms of downhill, it has the largest skiing area in the Vosges Mountains with more than 30 slopes covering 220 hectares. 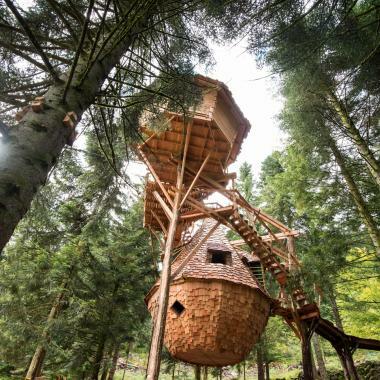 The “Pearl of the Vosges” is equipped with 21 downhill slopes and 100 km of cross-country trails connected to the resorts of Xonrupt and La Bresse. 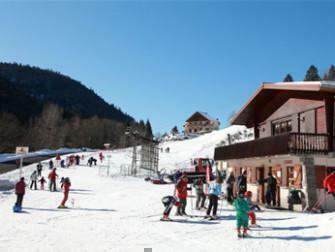 A “Famille Plus Montagne” labelled resort. 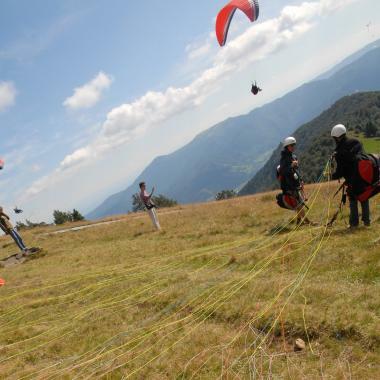 Ventron, in the heart of the Higher Vosges, is a family destination where fun and safety go hand in hand. 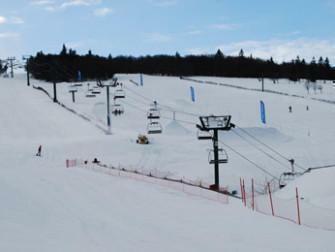 Located in a designated natural site, young skiers can progress peacefully as snowboarding is limited in the resort. This charming village will satisfy all your winter sport desires: downhill skiing, 35 km of free cross-country skiing trails, snowshoeing and a toboggan run with a shuttle service during the school holidays. 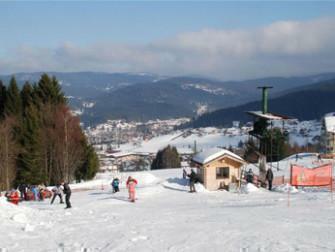 Above the village of Xonrupt, there’s downhill skiing and snowboarding on blue and green runs with 2 ski lifts. For younger skiers, there’s a separate area with slopes just for sledging. A “Famille Plus Montagne” labelled resort. 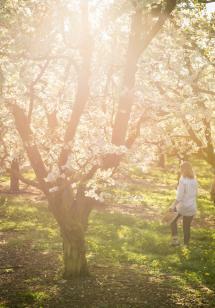 At Le Valtin, you’re guaranteed to have a relaxing holiday in one of the Vosges Mountains’ most authentic villages. 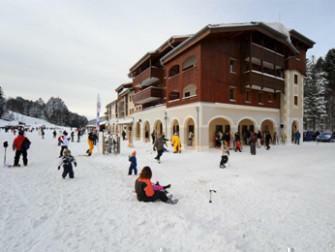 There are three slopes perfect for skiing as a family, with a mini ski lift, a snowpark and a restaurant at the foot of the slopes. The freestyle attitude! Guaranteed thrills on skis or on a snowboard in the snowzone: Woodzone, Big Air, cannon box rails, and more, including a boardercross. 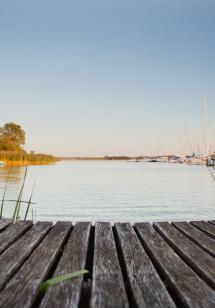 For families, there are 2 blue trails. 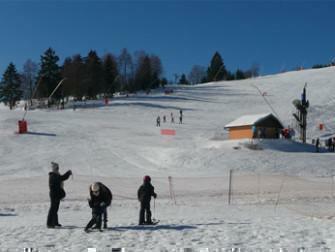 Le Rouge Gazon features a superior downhill skiing area and cross-country trails. 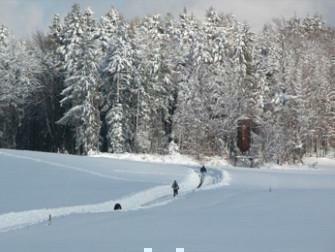 Other activities on offer include the Les Bains Phéniciens spa, snowshoeing and more. 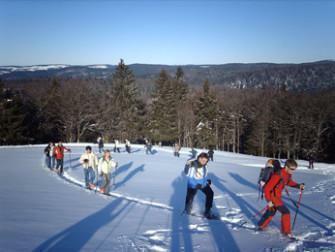 Entirely dedicated to cross-country skiing and snowshoeing with its 83 km of trails, the resort offers stunning panoramas of the Vosges Mountains. 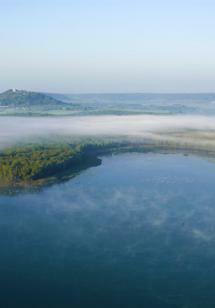 The Plombières-les-Bains spa resort is nearby. 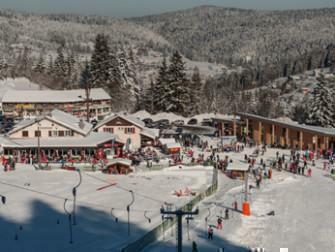 Near the big resorts of the Higher Vosges, this family resort in the Brabant mountain pass offers snowshoe trails and downhill ski slopes. There’s something for the whole family.